Each year the League of American Cyclists sponsors National Bike Month to celebrate and promote the many benefits of bicycling. As a part of this annual program, the League organizes a nationwide Bike to Work Week to educate Americans on the advantages of biking rather than driving to work. This year, Bike to Work Day officially falls on Friday, May 19th. Millions of Americans in urban and suburban areas have made the switch from car to bicycle in recent years. Data collected by the League indicates that the number of bicycle commuters grew by 62 percent between the years 2000 and 2013. In 2009 alone, more than 4 billion trips in the United States were made by bicycle. So why are so many people trading in four wheels for two? For starters, biking to work promotes a healthier lifestyle. 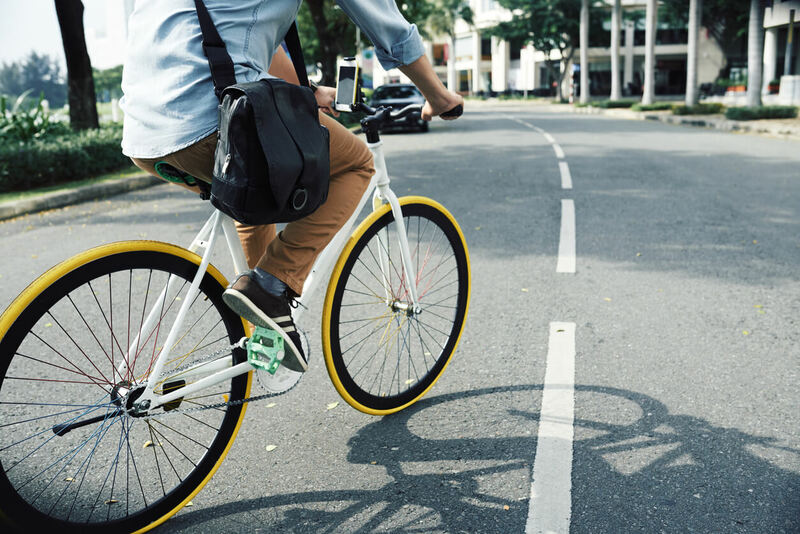 Not only do commuters burn calories and build strength on their way to and from work, but biking has also been linked to lower blood pressure, improved sleep, and reduced anxiety. Further, studies indicate that communities that support bicycle commuters can expect to save millions on healthcare expenses. For example, a study published by the Journal of Physical Activity and Health discovered that Portland’s residents could save as much as $594 million in healthcare expenses in the next 30 years due to the increasing number of cyclists. Lastly, those that bike to work report that they are less stressed and generally happier than their car-driving coworkers. Cyclists are able to avoid traffic congestion and crowded public transit all while enjoying the outdoors. In addition to numerous health benefits, bike commuters can expect to save money - and lots of it. The average American household spends nearly $2,000.00 each year on gas. Cars used for daily driving require hundreds, if not thousands, more in maintenance costs. By contrast, a dependable commuter bike is a flat, one time purchase. As for maintenance, bike commuters can expect to spend roughly $50.00 each year. There is also a monthly $20.00 federal tax reimbursement for bike related expenses available to those who commute by bike at least three days per week. Still not convinced that biking to work is for you? Consider the fact that nearly 40 percent of all trips in the United States are less than two miles away. If more people opted to ride a bike for shorter trips, the streets would be safer, the air would be cleaner, and communities would be healthier. This Friday, challenge yourself to ride your bike to work on Bike to Work Day. Bicycling to work has many benefits, but unfortunately accidents do happen. If you have been injured in a bicycle accident, you should seek the counsel of an experienced personal injury attorney. Contact Steinberg Injury Lawyers, 24/7 at 800-989-6385 for a free case evaluation.